Our Adult Brain Injury team took part in the Encephalitis Society’s Accumulator Challenge in November 2018 to raise much-needed funds for the global charity, which helps people affected by the devastating brain inflammation injury, encephalitis. As part of their Challenge, we were provided with a £30 pot which we had to grow through creative sponsorship and fundraising means, to raise as much as possible to donate back to the charity. For last year’s challenge we arranged a silent auction, tombola and nail bar in order to raise funds. This year we wanted to do something different and opted for a bake sale, pub quiz and raffle. There was a great turnout for each event and we had a lot of fun rising to the challenge! Thanks to the generosity of a number of local businesses in donating prizes for the pub quiz and raffle, we were able to grow the pot to almost 20 times the original starting figure – raising just over £580 in total. 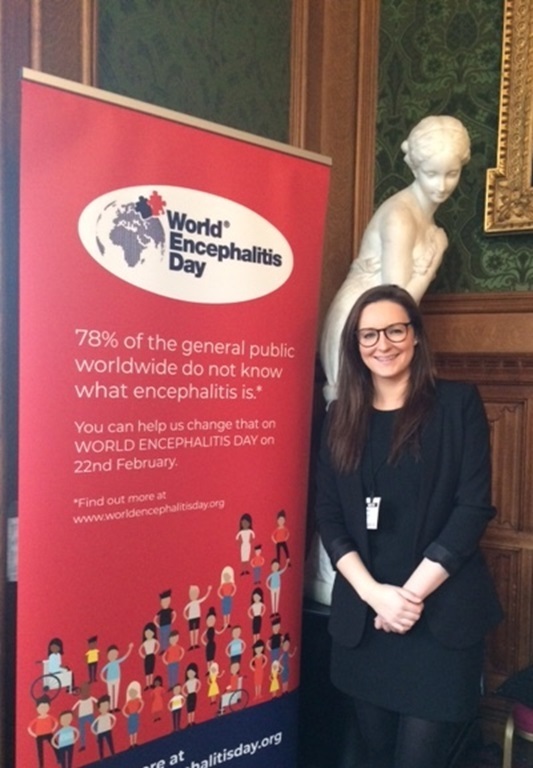 This will now be used by the Encephalitis Society to fund its award-winning work providing support to those affected by encephalitis, raising awareness and investing in research. 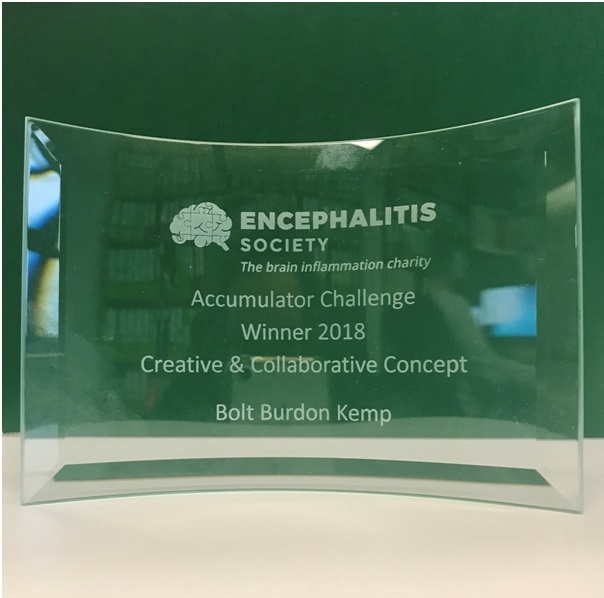 Following the success of the Accumulator Challenge, we were invited to attend an awards ceremony at the House of Lords on Tuesday 15th January 2019, arranged by the Vice President of the Encephalitis Society, Baroness McIntosh of Pickering. I was thrilled that the firm won the award for “Creative and Collaborative Concept” at the event for our efforts in the Accumulator Challenge, and it was a really fantastic way to top off such a lovely morning. The Society also launched their BrainWalk digital challenge on the day, to raise awareness of the condition. The app, downloaded to your smart phone, records how many steps a user takes each day – with the aim of reaching 52 million steps (the equivalent of walking around the world) by World Encephalitis Day on 22nd February 2019. I was surprised to learn that nearly 8 out of 10 people still have not heard of encephalitis, so it’s vital that we do as much as we can to raise awareness of the condition. Now to (quite literally!) 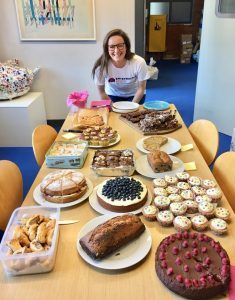 take as many steps as we can to raise awareness of encephalitis in the lead up to World Encephalitis Day… why not join us if you feel up to the challenge! I’m already looking forward to finding some new and exciting ways to raise funds for next year’s challenge!